+Conclusion: The Western Balkans goes global? Western Balkans governments have failed to tap the potential of their vast diaspora – six million strong – around the world. This diaspora possesses the networks, skills, and assets that Western Balkans countries need to develop and to prosper in an age of fierce economic competition. Ireland’s experience sets the standard: today’s “Global Irish” population is a networked diaspora that champions Irish interests throughout the world and has made critical contributions to Ireland’s economic miracle. To follow in Irish footsteps, the Western Balkans urgently needs to gather data, including carrying out comprehensive labour force surveys, to understand the diaspora properly and learn how best to communicate with it. The EU must help. It should introduce circular migration programmes so that educated Western Balkans citizens in EU member states return to their home countries fully equipped to make an even greater contribution than they could have done before leaving. Few parts of Europe are more marked by emigration than the Western Balkans. Yet despite many decades of its people leaving the region – often never to return – emigration remains a matter on which Western Balkans governments have remained virtually silent. On those occasions when political leaders have pronounced on it, they have done little more than call for emigration to stop. Overall, inertia reigns. But Western Balkans governments not only need to get on top of this issue and set out clear policies and actions – they also need to turn attitudes to emigration on their head. While it is true that high levels of emigration cause problems, it is also true that the solution to many of these problems lies within emigration itself. The population of the Western Balkans has grown smaller and older over the last few decades. But, even though many people have left, data about them remain sparse. The region is yet to fully grasp just how beneficial its diaspora could be for its future – and, even if it wanted to, it would quickly come up against a lack of hard evidence on which to base new policy decisions. There is little analysis of the positive effects of emigration from the region and how citizens abroad can play a role back home. To change this state of affairs, there needs to be a big shift in the relationship between the “home country” and those who have emigrated. This involves not only steps to change the emotionally charged narratives that currently surround emigration but also concrete action to reach out to the global Western Balkans diaspora. Should Western Balkans leaders seize the opportunity, the future of the region can be a globally connected one. Indeed, the millions of citizens around the world who claim Western Balkans ancestry will be able to help the region develop. They often possess unique skillsets, yet their networks, economic wealth, and influence remain largely untapped. Currently, remittances are the focus of government interest, whereas organised outreach to Western Balkans communities abroad would encourage them to also invest their time, talent, and energy back in the region. And, in an age when digital technology makes communication easier than ever, Western Balkans countries even have an advantage over those countries that tried this before. Other places have faced similar situations – and prospered from them. In particular, the example of Ireland from the 1990s onwards is one to which Western Balkans leaders should pay particular heed. This paper examines, therefore, the Irish emigration experience and compares it with trends in Western Balkans emigration. It outlines the benefits that a concerted government-backed effort could bring to the region. But it also highlights the consequences the Western Balkans is likely to face if it does not change its current passive approach to the fact of emigration. While each country in the Western Balkans has its own specific experiences and challenges, in broad terms all of them face the same problems of emigration, low investment levels, and weak approaches to diaspora development. If Western Balkans countries are to meet their long-term socio-economic goals, it is crucial that they challenge the existing narrative on emigration. It is no exaggeration to say that the whole future of the Western Balkans depends on how the countries of the region deal with emigration. At present, they risk remaining bystanders to a continuing outflow, with little benefit accruing to them or their citizens. Alternatively, the countries of the Western Balkans could seize the opportunity that emigration provides and ensure for themselves a more prosperous, resilient, and open future. People in the Western Balkans today are voting with their feet and leaving behind the countries of their birth because of unemployment, governments’ failure to reform, and gradually increasing authoritarianism. In the last 30 years, the six countries of the Western Balkans have lost around one-tenth of their populations. To a certain extent, this is a consequence of the wars of the 1990s: the death toll in Bosnia and Herzegovina alone was more than 100,000. Albania, Montenegro, and Macedonia are likely to lose a large share of their populations – almost one-tenth – by the middle of the century. For small countries with little inward migration to compensate, this can be particularly problematic. And emigration has left an unfavourable age structure within the region. All the region’s countries have ageing populations, with 15 percent aged 65 and over; this figure is set to rise to 26 percent by the middle of the century. By that time, around one-quarter of the population of the Western Balkans will be aged 64 or older. The impulse to leave is strong: recent Gallup research has shown that almost half of Serbia’s residents aged 15-29 say they want to leave the country, many permanently. Kosovo’s total population loss is as high as 42 percent, which includes the young and educated. Given the economic situation in the Western Balkans, it is unsurprising that people are leaving. The current expected average Western Balkans GDP growth rate of around 3 percent is insufficient to accelerate the process of catching up with other European countries. GDP is projected to have risen to 3.2 percent in 2018 and to rise by 3.5 percent in 2019, but if this growth rate continues, it would take six decades for the average per capita Western Balkan income to converge with the EU average. On its own, this is not going to be enough, either in terms of supporting the Western Balkans’ wider European ambitions or populations’ expectations on living standards. Different Western Balkans governments currently approach diaspora engagement in different ways, although none have really developed a model that fulfils the potential of this process. For example, the ministry of state for diaspora is a fully fledged department of the Albanian government responsible for communicating and dealing with issues that affect the Albanian diaspora. The Ministry of Religion and Diaspora, meanwhile, was a department of the Serbian government that was in charge of connections with the diaspora, but it merged with the Ministry of Culture and Information in 2012. The overriding problem is that such ministries have little political weight, resources, and public prominence. However, it is perhaps self-evident that Western Balkans citizens who work abroad, pursue an education there, and become prosperous as a result should present a distinct opportunity for the places they have left behind. Indeed, imagine a counterfactual of a troubled country whose citizens never leave and that never acquires potential networks to tap in to. Western Balkans government should, therefore, adopt policies that establish networks to connect emigrants with the countries they have left, and eventually even encourage them to return, with skills, assets, and financial clout. Unlocking diaspora investments that foster an entrepreneurial ecosystem back home can enhance people-to-people links and directly stimulate economic growth. In fact, the countries of the Western Balkans would not be the first to embark on this path. For inspiration, they can look to a fellow European country: Ireland. Long ago, the Republic of Ireland turned fears about emigration on their head to delve into the treasure trove of golden opportunities that emigration can channel directly back to the origin country. I went away feeling completely depressed, but then the messages started coming in from all over the world,’ … the speech was the one she was best-remembered for by emigrants”. But by reimagining the Irish diaspora as comprising energetic, vibrant, and willpower-driven individuals, a new chapter in Ireland’s history opened. Today, Ireland is a country of Google and Microsoft, with thousands of its citizens working at the frontiers of technology. It attracts talent from all over the world. According to the World Bank, Ireland’s is one of the fastest-growing economies in the EU and has maintained this position in recent years, thanks to a whole range of policies. Just as in the Western Balkans today, in Ireland emigration had long been a difficult and highly emotional subject in public discourse. 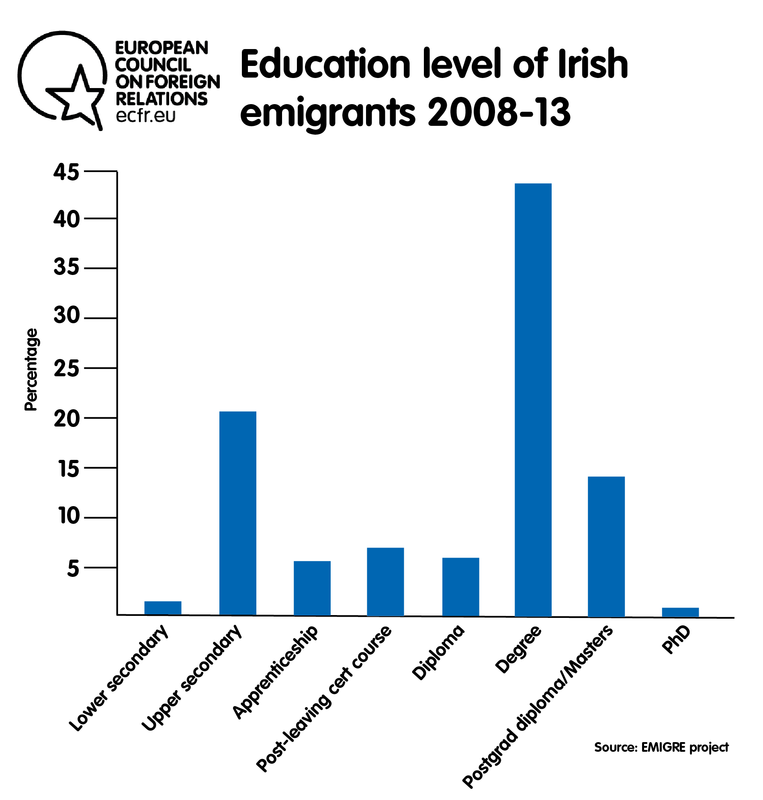 Like the Western Balkans, the departure of Irish citizens in possession of higher education was a significant trend. In 1988 alone, 70,600 citizens, most of whom had degrees, left Ireland. What debate there was in Ireland about emigration focused on it only as an unavoidable necessity rather than as an opportunity. But, in the 1990s, speeches like Robinson’s and concerted government action began to change this. The Irish government undertook a series of actions to understand the Irish diaspora throughout the world and the networks it enabled. Civil society organisations supported this endeavour, operating under a comprehensive framework set out by the government. These initiatives sought to identify the diaspora’s potential benefit to Ireland. The government commissioned new research, based its actions on reliable data, and made use of emerging technology to strengthen linkages with the diaspora. One such attempt was initiated in 1996 by Forbairt (latterly Enterprise Ireland), which targeted “Irish emigrant communities abroad” to encourage them to establish businesses back home. In 1999 the Harvey Report reviewed the policy responses and services provided by the government, concluding that there was a need for a more comprehensive guarantee from the government, especially in terms of funding and infrastructure. The report envisaged that these efforts would be supported by a future Task Force, coordinated by the Department of Foreign Affairs and Trade and involving government departments, state agencies, and non-governmental organisations. In its 2002 report, the task force suggested setting up a new unit to support the Irish abroad and to raise significant funding. Following the recommendations, the Department of Foreign Affairs established the Emigrant Support Unit, including new initiatives such as: the Global Irish Civic Forum, the Alumni Challenge Fund, the Local Diaspora Engagement Fund, a Global Irish hub, and a Global Irish Media Fund (which aimed to support coverage of the Irish diaspora). Since 2004, the Irish government has allocated funds to 34 countries to support the global Irish community. By the early 2000s, it even seemed that mass Irish emigration might be a thing of the past. This was not to be an unbroken trend: in 2008, amid the global economic crisis, 240,000 Irish people left the country. It took Ireland years to bounce back, improve its economy, and attract young and talented people back. The government fast-tracked exchanges with emigrants and decades of physical isolation for the many abroad, culminating in 2013 with the “Gathering”. People with Irish roots living everywhere from the United Kingdom to Germany and Australia flocked back to Ireland. In the following years, continued commitment from the government resulted in several big achievements, including new university projects to examine contemporary Irish emigration. Various levels of the Irish government have swung behind diaspora engagement. For example, Donegal County Council developed a Diaspora Global Skills Locator app, a novel and innovative way of matching people’s skills with opportunities in Ireland, utilising GIS technology built on an interactive map. In 2015 the government published “Global Irish: Ireland’s Diaspora Policy” and established the Interdepartmental Committee on the Irish Abroad, chaired by the minister for the diaspora. Each department operated with autonomy and acted on its own strategy. This was an important step, as all parts of the government needed to buy in to the plans if they were to succeed. And, in 2016, the Irish government commissioned an independent economic report looking into the issues that disproportionately dissuade Irish citizens from returning home, thereby setting up a clear path to start removing such barriers. A civil society organisation assisted with the creation of the report, providing first-hand knowledge of the issues and identifying barriers such as non-recognition of qualifications. In parallel, they compiled two catalogues to help locate members of the Irish diaspora worldwide. Where is the Chuck Feeney of the Western Balkans? Improved data and networks can help countries tap into their global diasporas. However, government commitment to diaspora relations can also enable investment and endowments from individuals that make a difference. Ireland’s example is again instructive here: in 1998, Chuck Feeney, a US-based philanthropist of Irish heritage, made a big offer to the government in Dublin. He proposed a donation of £75m – if they matched it. Within a week, Bertie Ahern, then prime minister, announced the £150m Programme for Research in Third Level Institutions (PRTLI). Since that time, PRTLI has resulted in a direct commercial return on investment of €1.8 billion, making it the most successful project that Feeney’s Atlantic Philanthropies group has undertaken anywhere in the world. The very same initiative was the foundation for the later success of the Industrial Development Agency Ireland (IDA Ireland), which attracts prospective foreign investors to Ireland. Feeney’s Atlantic Philanthropies organisation provided seed money for new libraries, science buildings, and student villages. In a changing economy, Ireland went from a country of emigrants to one that attracts people; research and information technology was the key to success. Today’s Ireland is a country of almost 5m people, with more than 70m estimated emigrants and their descendants worldwide. Indeed, for home countries with extensive diasporas, however painful it is to lose people, if so many had not left in the first place, this global Irish community would never have come into being. 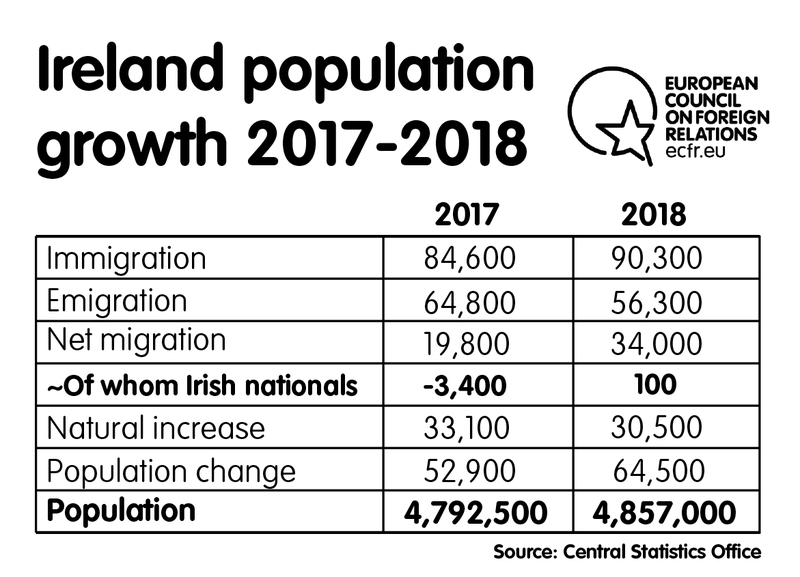 As one observer has – bluntly – put it, had migration restrictions been imposed in Ireland to stop people leaving in the past, “Ireland would now be a country of 14 million people, yet it would be much poorer and uglier”. Of course, Ireland is not without its problems, such as an acute housing shortage and significant improvements still to be made in health and education. But, now, with one-third of its population aged under 25, according to IDA Ireland, by 2010 Ireland had what the European Commission called: “the most highly employable graduates in the world”. Years of collaboration and investment in education has helped create a highly skilled workforce and globally competitive science and technology sectors in the country. Ireland has one of the world’s best-developed relationships between the home country and its diaspora. Nevertheless, Ireland’s highly developed set of networks brings jobs, investment, and people into the country; and facilitates circular migration (continuous engagement by migrants in both home and adopted countries). There is no doubt too that the global Irish community that has emerged from this activity is vital to championing the country and hugely bolstering Ireland’s reputation. Irish culture is now known around the world, while the country is popular internationally. A troubled history has not prevented Ireland effecting this turnaround. The lessons for Western Balkans countries are likely to be lengthy but well worth mastering. What can the Western Balkans learn from Ireland? Western Balkans countries should draw the following from Ireland’s experience: firstly, start the conversation on emigration; secondly, begin establishing networks; and, finally, nurture the investment, skills levels, and jobs that these well-developed links can bring in. At present, Western Balkans governments’ approach to the diaspora is, across the board, shockingly one-dimensional. If there is a focus, it is on remittances. While they contribute to financial stability in the region, remittances are only one connection with the diaspora. Governments continue to overlook the potential of circular migration and of diaspora direct investment (DDI). These go beyond financial gains to include strengthened cultural and sentimental bonds between diaspora members and home countries. Western Balkans governments urgently need to address their relative lack of data on their citizens – and on those with Western Balkans heritage who may not be citizens. To properly understand the potential of their diaspora networks, they must improve their data collection systems, building on what is available to them from censuses. Identifying both known and unknown “unknowns” is crucial. Doing so is likely to require the introduction of new administrative data collection processes (such as those for gathering data on occupations and skills) and periodic household surveys, which might cost very little if tied to a census. To illustrate the problem as it currently stands, one press release issued in Bosnia in December 2018 reported that a statistical survey template designed to collect information on Bosnian citizens living abroad received responses from only 5-6 percent of recipients. The report noted that this was insufficient for obtaining reliable statistical data on the number of persons living abroad. Moreover, given the scale of emigration from the region, it is important that governments carry out a more comprehensive labour force survey of people of working age both in the Western Balkans and abroad. This could directly feed into the government’s economic and development planning process, synchronised with migration data. Governments should also carefully consider opening national representations in major settlement countries and conducting a census of Western Balkans citizens living abroad (including surveying their skills and qualifications). This may accompany an information campaign that would include regular visits to diaspora communities by government officials. To be at all valid, a development strategy must include emigration and immigration data projections – and, to this end, it will need the expertise of demographers and geographers. Importantly, there is a role for the European Union to play in addressing the region’s lack of access to credible data. Through agencies such as EUROSTAT, the EU should provide technical guidance on collecting and compiling robust data. This assistance can feed into an administrative census, quarterly surveys, high-quality expert projections, and the introduction of methodologies that could insert and account for emigration in future strategies. It is highly likely that the region will be unable to make significant progress on this front without external expertise; the EU is the nearest and most logical major partner to contribute to this effort. Quite naturally, people establish networks among themselves without government interference or intervention. There is already dense and constant interaction between members of the diaspora, and between the diaspora and home countries. Western Balkans governments are currently missing a good knowledge of the types of interaction that already take place between citizens abroad and those back home. A deep understanding of these networks will help governments tap into the wealth of knowledge that they represent. In the Western Balkans, there are already diaspora-engagement initiatives similar to Ireland’s but they have made less of an impact so far. Most Western Balkans countries have policies and strategies on diaspora engagement, such as the Development Strategy and Strategy of Science Development, in Bosnia and Herzegovina. Montenegro, meanwhile, introduced informal gatherings labelled “Let’s Meet in Your City” as a means of networking. There are mechanisms and funds dedicated to increasing the return of highly skilled and talented individuals to the region, as well as dozens of youth action plans and strategies for cooperation with the diaspora. But substantive steps are needed to make more direct linkages between home countries and Western Balkans citizens abroad. There are also various other initiatives, but they have been limited in their success so far. Examples include the ENIC/NARIC centre in Serbia, and Bosnia Restart, a business embassy for the diaspora and foreign investors. Governments of the Western Balkans should identify examples of best practice, drawing on the experience of Ireland in particular. They should hand more power and funding to these structures to bring about results. Within the home country, the government needs to institute greater cross-administration coordination to ensure that responsibility for emigration will rest with more than one ministry. Finally, the Copenhagen Criteria for accession to the EU stipulate regional cooperation between Western Balkans countries. Such cooperation on emigration should aim for all countries to develop a shared full picture on the nature and scale of emigration. As modern networks are digital by default, governments must tailor their approach to make the best possible use of technology. People who leave the region now are digitally savvy in an age in which access to information and daily events has never been better. New forms of technology and communications facilitate emigration making the process of applying for a visa and finding a job easier than ever, and by enabling virtual working. Research shows that online forums and social networks attract hundreds of thousands of people to discuss everyday events back home. Citizens of the Western Balkans living abroad may be frustrated and angry with their political leadership, but their connections back home are still strong. For millions of those who have left the region, the most popular communication platforms are now WhatsApp, Skype, and Twitter. Establishing more effective programmes to strengthen links between the home country and emigrants will be an important step forward. If governments’ end goal becomes to ensure emigrants’ ideas, skills, and financial resources are able to make a contribution to the Western Balkans, they must take the necessary steps to ensure that educational and economic opportunities are attractive enough to tempt them back. Currently, Western Balkans government policies, the small and fragmented nature of national markets in the region, and prevalent perceptions of corruption and inadequate business performance combine to hamper the region’s growth prospects. Transforming prospects for education, jobs, and investment back home will, therefore, be central to turning emigration from a negative into a positive. Indeed, there is a mutually beneficial relationship between progress on improving data on migration flows, networks, education, and job creation; each will increase the quality of the other. This manifests itself in the only limited foreign direct investment into the region. According to one World Bank report, foreign direct investment stock per capita in the Western Balkans (€2,600 in 2015) is less than half that in eastern European EU member states and just one-seventh of the EU average. Despite this, DDI remains poorly explored. Present levels of investment by countries in the Western Balkans are not set to transform this picture any time soon. This is especially true for education, science, and research and development. On average, they spend less than 0.4 percent of GDP on research and development. Without more significant investment, talented people will continue to leave. Finance and other forms of assistance from abroad are important to changing this, especially due to the fierceness of global competition and their lack of capacity and resources. The EU’s research funding programmes appear to be accessible to few. To address some of these challenges, Western Balkans governments must set about creating an environment that supports science, education, innovation, and the information technology industry. Many of those who emigrated from the region in the early 1990s have now acquired skills and experience, and they have capital they could deploy to support new projects and ideas. It is in the interest of governments in the region to not only keep people in the country by offering meaningful programmes but also to attract others from outside. Companies will enter local markets if they believe the right conditions are in place, something that is dependent on the population profile, especially: skills, talent, and age structure. The Western Balkans is labour-rich and remains some distance from being a “talent-intensive” place. Fragmented and relatively small labour markets that spend little on research must work to raise the quality of their skills rather than their volume. But unless they make new investments and harness advanced technology, industries will never be able to grow to their full potential. For example, the information technology industry has grown rapidly in the Western Balkans, but what holds companies back is the inadequate circular migration structures in place there; indeed, this holds companies back across many sectors. For example, Belgrade-based company Nordeus is one of the world’s most successful start-ups, with offices in Dublin, London, San Francisco, Skopje, and Belgrade. It has 170 employees and more than 100 million product downloads. Steps to facilitate circular migration involving Western Balkans citizens would assist companies such as this, which are currently obliged to fill the gap left by inactive governments and attract employees to Serbia themselves. Growth on this front will also allow the region to even attract non-Western Balkans workers, who will be drawn in by the emerging vibrancy of the economy. This will require governments to carefully manage parallel processes of attracting their own citizens “back” while also encouraging other immigration. In support of this, Western Balkans countries should explicitly encourage DDI. Unlike standard foreign direct investment or the short-term consumption that remittances boost, DDI can have an emigration element that establishes a superstructure with significant reach into the target country. This is because emigrant investors are willing to share skills, technology, and intellectual property with their former homes. And, given the entrenchment of corruption and other problems throughout countries in the region, the return of migrants who will expect and demand higher democratic standards may also help drive further change as governments realise they must do things differently to attract them in. The region already has various networks that have gradually emerged as a result of emigration and that operate outside of state control. These networks support knowledge-based development and facilitate the return loop. Examples of this include the Bosnian-Herzegovinian American Academy of Arts and Science, the Western Balkans Migration Network, and the non-profit group “Our perspective” (established in 2016). And, as the example of Feeney and the Ahern government showed, philanthropy can drive new development. For example, although still in its infancy, philanthropic work in the Western Balkans already occurs and likely commands €35m in funding for the six countries in the region. The Catalyst Balkans foundation is one such example. It seeks to develop philanthropy in the Western Balkans. Catalyst’s research shows that, in 2016, Kosovo received a total of 10.2 percent of all donations directed towards education, compared to 34.4 percent for poverty reduction. There is nothing recorded for other forms of investment, such as that in science and the arts. Recent new initiatives, such as those led by Serbian tennis player Novak Djokovic, follow a pattern of philanthropic investment that will pay off in the long run (in his case, in childhood research). But current assistance focuses on such stopgap measures. This may reduce the effects of poverty in the short term but risks coming at the expense of investment that pays off in the longer term. Western Balkans governments have the opportunity to create a virtuous economic circle. As they expand their reach through networks and commitment to reaching diaspora communities, they will improve their capacity to start attracting skilled workers, which will, in turn, help them develop socially, educationally, and economically. At the moment, a chronic lack of employment discourages people from returning. Governments are currently doing too little to improve the overall environment for jobs, skills, and investment. Such efforts do not need to be all about money, however. For example, in improving skills and knowledge, virtual scientific education in the EU can help create shortcuts to information and keep intellectual property at home: colleges across the EU stream lectures from which Western Balkans scientific communities, students, and researchers could benefit. If the EU opened up its cohesion and structural funds to countries in the region and focused them on areas such as education, this would profoundly change the outlook for the Western Balkans. The EU is indeed a major factor in Western Balkans efforts to reap the benefit of emigrant networks. Again, recalling the example of Ireland, it is worth considering the role that “nearest neighbours” can play. A significant part of the circular migration that has historically benefited Ireland has been that between it and the UK. This well-established route enabled access to a bigger and richer labour market, providing opportunities thanks to mere proximity (as well as a shared language). Many made, and continue to make, the journey back and forth multiple times, in search of both work and qualifications. The EU also assisted Ireland on the education front. When the country joined the EU in 1973, just 27,135 Irish students reached third-level education. By 2015, having made the fullest use possible of EU financial assistance for education, that figure had increased to 173,649. A total of €6.5 billion in investment from the European Social Fund profoundly changed the state of education in Ireland. Together with the European Commission, the Irish government allocated significant resources to this field, acknowledging that, to achieve long-term convergence with other EU countries, there could be no alternative to greater human capital. The EU plays host to many Western Balkans migrants, and so will be crucial to efforts to assist the region. From the perspective of an EU interested in preserving stability on its borders, the benefits are clear. From the perspective of regional governments, there is no other actor that could take the EU’s place in these efforts. The EU is deeply invested in this relationship and best placed to help facilitate further development in the Western Balkans. The EU should, therefore: expand its current programmes so that they target issues connected with emigration specifically; and stimulate circular migration between the countries with the highest proportions of emigrants. Migration currently does not feature in existing platforms of cooperation between the EU and Western Balkans countries. It should. Some of this approach is already effectively in operation: countries such as Germany already benefit from the high levels of emigration from the Western Balkans. But the EU should go further by establishing mobility schemes. These might include distance learning courses or sponsored employment, which could help circular migration become the new norm. For example, training for doctors at universities and clinics across the EU gives opportunities to skilled workers to both emigrate and return. Those who leave the region could still contribute to the local scientific community through research, education, and exchanges. The result would not be dissimilar to that which Irish circular migration to the UK helped bring about, both inside and outside EU membership. Making these changes would help maintain and improve public services in the Western Balkans, thereby directly contributing to the stability of the region – with people who remain in their home country forming part of the knowledge advancement of the human capital from the Western Balkans. In fact, evidence shows that a growing part of migration in the EU is circular, as people move back to their home country multiple times. For the Western Balkans, there is virtually no better way to bring back skills and the intellectual capability than by promoting circular migration. Expanding and promoting this trend in the Western Balkans will be beneficial to all. Conclusion: The Western Balkans goes global? The future of the Western Balkans could be global: its diaspora could re-energise and rejuvenate it. Nearly 6m members of the diaspora, including all those who can trace their ancestry back to the Western Balkans, are waiting in the wings with experience, skills, talent, and verve to transform the region. But to make all this happen, the debate in the Western Balkans itself needs to move quickly to discussing emigration openly and publicly. The subject has lain under a blanket of near-silence in the Western Balkans in recent decades. Instead of worrying about emigration and wishing one could stop it, leaders in the Western Balkans now need to surprise the public, and perhaps even themselves, by recasting emigration as a huge opportunity. Closely involving civil society, business, and the public in the process, Western Balkans governments should each establish a coherent approach across the board. They should implement new policies that promote circular migration, attract investment, and otherwise encourage the large Western Balkans diaspora to help develop their region, whether on site or remotely. Indeed, creating opportunities for geographically flexible employment would increase individuals’ choices, strengthening the interpersonal networks that preserve human capital and increase skills exchanges. To succeed, Western Balkans governments will need to do much more to understand the issue. Studying the effects of emigration, capturing knowledge and statistics about labour migrants, age, gender, and emigrants’ children may reveal interesting and useful material. 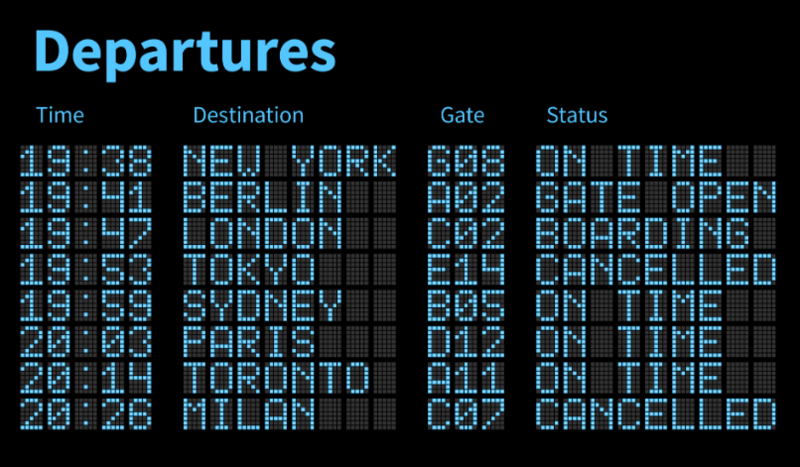 These governments could use this to develop future policies on emigration. Indeed, the historical example of Ireland shows how, over several decades, the Irish government commissioned and drew on research, gathering reliable data of a kind it previously lacked and capitalising on growing access to technology to tap into its diaspora. It then initiated a series of actions, strongly supported by civil society, to understand the Irish diaspora and their networks, as well as their potential to benefit Ireland as the home country, and to understand the clout they had across the globe. There are differences in the Western Balkans experience, naturally, but the Irish story should serve as an inspiration: it demonstrates how a place can bring about positive change for itself by making the best use of its people, both those abroad and at home. Like the global Irish community, a global Western Balkans community can emerge. And, from the point of view of the EU, the promise of the Western Balkans diaspora – many of whom live in its territory – should draw intense interest. With accession processes in stasis, a dynamic new approach to which the EU can contribute should prove attractive to policymakers in search of ways to ensure Europe’s future stability and prosperity. Opinion polls throughout Europe clearly show that any future expansions of the EU will be contested based on the perception of the region from the outside; high levels of emigration and a sense of drift and inertia contribute to this image. The English language aside, the countries of the Western Balkans have no fewer assets and opportunities than the Irish did when they started out on a journey that benefited their country and raised their standing in the world. People like to talk of “the luck of the Irish”. But the reality is that they made their own luck, and the people of the Western Balkans will be able to do the same. Alida Vračić is a visiting fellow with ECFR’s Wider Europe Programme, and co-founder and executive director of Populari, a Bosnia-based think-tank specialising in European integration in the Western Balkans, politics, governance, civil society, and post-conflict democratisation. She previously worked with the European Stability Initiative, and for the Human Rights Commission at the Constitutional Court of Bosnia. She has received several scholarships and fellowships, including a Chevening scholarship, a Stiftung Mercator fellowship, and a Marshall memorial fellowship. Alongside her work on the European integration of the Western Balkans, she has pursued research projects relating to emigration from the region. Her policy brief, “The Way Back: Brain Drain and Prosperity in the Western Balkans”, was published by ECFR in 2018. The author would like to extend thanks to Adam Harrison for editing the paper and creating the graphics. For their assistance with this project, the author would like to thank: Tania Lessenska, James Hegarty, Kingsley Aikins, Dr John Bradley, Richard King, Karen Mc Hugh, Ann Derwin, Geoffrey Keating, Raymond Bowe, Simonida Kacarska, Rosita Mahony, and Tena Prelec. The Western Balkans countries comprise: Albania, Bosnia and Herzegovina, Kosovo, Croatia, the former Yugoslav Republic of Macedonia, Montenegro, and Serbia. World Bank report, Western Balkans Regular Economic Report No. 13: Vulnerabilities Slow Growth, 2018. 1990–2050 (Index: 2015=100 percent, projections from 2015 onwards)*. (Data source: United Nations 70). Susan H Motherway, “The Globalization of Irish Traditional Song Performance”, Routledge, 2013, p. 106. Interview with Ireland Department of Foreign affairs and Trade senior officials, November 2018. Interview with representatives of Safe Home Ireland, emigrant support service, Dublin, November 2018. Brendan M Walsh, Emigration: an economist's perspective, 1988-08, UCD Centre for Economic Research Policy Paper Series; PP88/3, University College Dublin. School of Economics. Strategy of Cooperation with Diaspora 2011-2014, and Action Plan related to it and a Draft Law on the Cooperation of Montenegro with Diaspora from 2014. “Higher But Fragile Growth”, Western Balkans Regular Economic Report No. 14 World Bank Group, Fall 2018. Caroline Hornstein-Tomić, Robert Pichler, and Sarah Scholl-Schneider, “Remigration to Post-Socialist Europe/Rückkehr ins postsozialistische Europa”, Erste Stiftung, 2018. John FitzGerald, “An Irish perspective on the Structural Funds”, The Economic and Social Research Institute Working Paper No. 94 Published in: European Planning Studies, Vol. 6, No. 6, 1998, pp. 677-694, p. 9. Standard Eurobarometer 89, Spring 2018 European Commission.